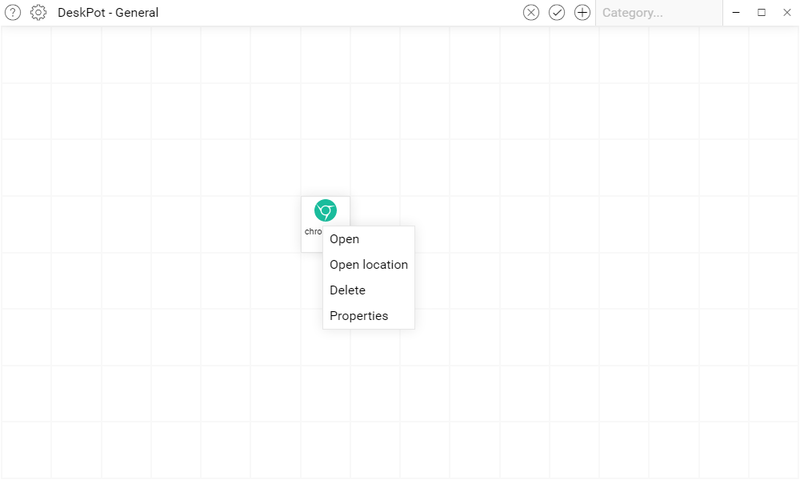 To add files or folders to DeskPot simply drag them to DeskPot window at desired location. 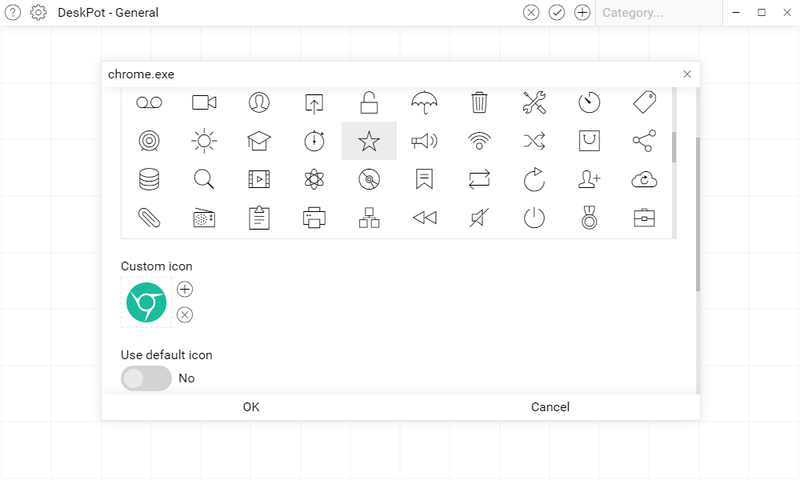 Please note that DeskPot uses its own set of icons. You may change icon and item name if you right-click icon and select Properties. Move icons around to rearrange them. Place mouse pointer over item name to see file/folder path. To switch between categories click “Category…” input and select category from dropdown or simply use a mouse wheel to browse categories. You can see current category name in the left part of toolbar next to app name. It is possible to filter categories by name and also to reorder categories in dropdown menu (just drag & drop category). To change category name, switch to that category, enter new name to “Category…” input and click “check” icon. To delete category, switch to that category and click “x” icon (if there is only one category, it can not be deleted). To add new category, enter category name and click “+” icon. 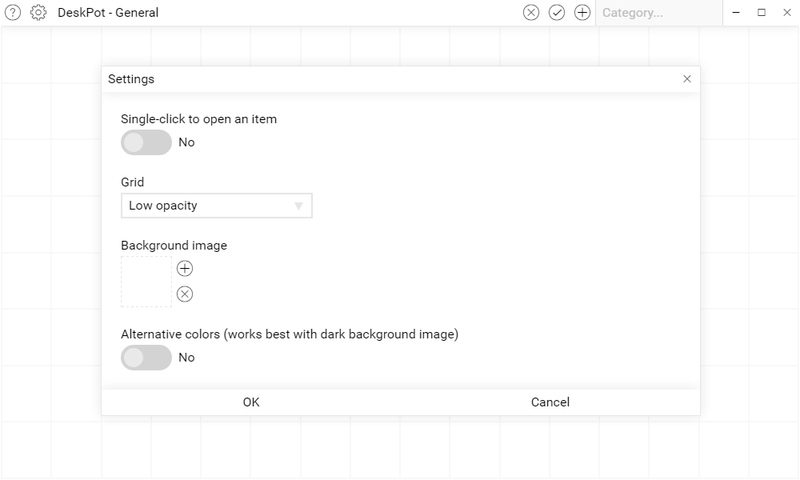 Right-click item to access item menu. Title of dialog will show current item name, place mouse pointer over it to see file/folder path. Click “cog” icon to access settings. Please use this contact form or send email to info@bitorbit.biz in case you have any questions or suggestions.